I happened upon another interesting challenge among my photo blogging friends. SeeingSpots shared the original challenge from WhereToWillie. As I learned while still a child “beauty is in the eye of the beholder” so I guess ugly is, too. The challenge is to share some photo (or in my case photos) of those things some may consider ugly yet hold their own beauty. In my first photo I had found an old car – not sure of make/model/year – in a pasture outside of town. So I climbed, illegally, over fences and gates, tramped thru the waist-high grass and got some interesting (to me) photos of this old car. I like the interior where you see the old style window and door handles as well as the almost empty glove box – now the residence of the local spider. 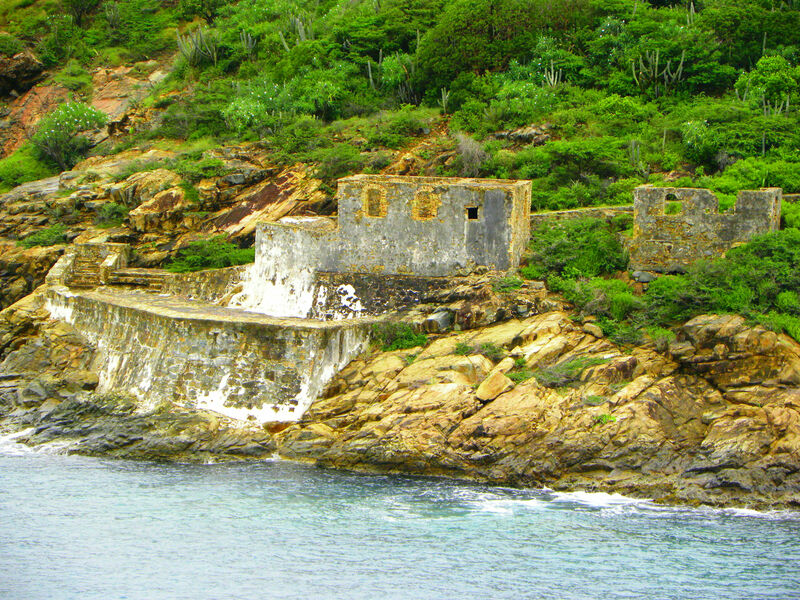 The second photo is from an island off of St. Thomas – an abandoned fort. The beauty of the photo, to me, is the history of the place. So many stories could be told of the life that the fort lived and those lives of the soldiers who lived there. 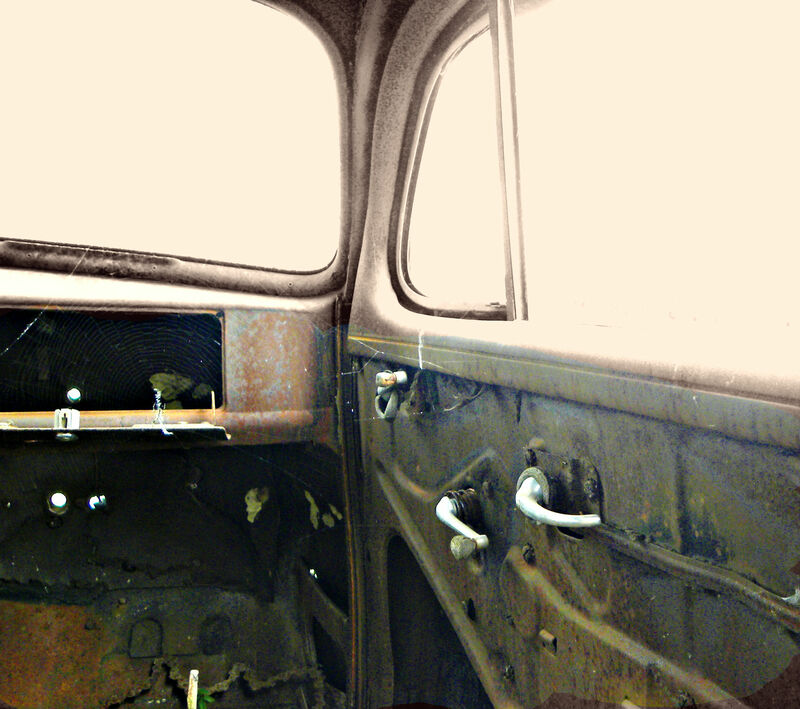 This entry was posted in Challenges and tagged another life another time, beauty is in the eye of the beholder, car, door handles, fort, Found Round and about, old car, photography, St Thomas, tisha clinkenbeard photography, travel, window handles. Bookmark the permalink. Lovely images! I love abandoned places and weathered things! Thank you! I alway wonder of the history and lives that were lived there!